JW: This has been a year of surprising developments in China, relating to everything from high politics (the fall of Bo Xilai) to activism and surveillance (the escape of Chen Guangcheng) to the censure of foreign journalists (the expulsion of Melissa Chan). Which of these stories -- or other unexpected ones -- struck you as coming most out of the blue? IJ: I think the implosion of Bo's career has to have been the most surprising. In a big political year there's usually some flare-up, but we've never had quite such a show, where a Politburo member's dirty linen has been aired quite so publicly. I think Bo's chances to ascend to the Standing Committee had been small beforehand, so we shouldn't exaggerate his fall too much, but it's stunning because it shows how sordid his life was. I think we can also assume that he wasn't the bad apple but more typical for what goes on at the highest levels. This scandal has given us a window on these goings on. JW: You've now spent time in China in at least three different periods (the 1980s as a student and then two different periods covering the country as a journalist). What would you single out as something that hasn't changed much over the long-term, and what's something that's required readjustment -- or even caused a bit of culture shock -- each time you return after a significant stretch of time? IJ: One thing that hasn't changed is that outsiders are always predicting that this time, it can't last. Or that it's at a crossroads, a turning point, a crisis. What I have to get used to is the fact that one day these predictions will be right. JW: The panel you'll be part of on June 21 is a joint venture between the Asia Society and the The New York Review of Books, for which you've been writing what I consider a lot of strong pieces, both blog posts and print articles. So I'm curious to know what you think is the best, most significant or simply most interesting assignment you've taken on for them so far? IJ: My favorite piece was on meditating in a cave. I signed up for a week-long qigong workshop, which ended up being like a revival of the qigong fever of the '80s and '90s. It was really a blast and it was great that the NYRB encourages this sort of offbeat piece. 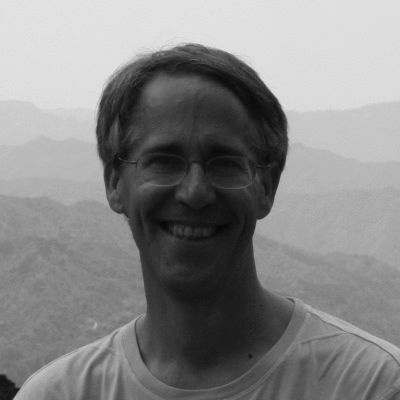 JW: Back in 2004, in an essay I did for Boston Review, I toyed with the question of which pair of books on China I'd tell then-president George W. Bush to read, if I had the chance to give him advice, and one of the two I chose was your Wild Grass: Three Stories of Change in Modern China. If you were suddenly given a few minutes one-on-one with Barack Obama, which pair of books would you tell him he should read before his next trip to China? IJ: Well, if he can wait a few months, I'm contributing to a book that might make the cut. It's called Chinese Characters and is a compilation of profiles of all sorts of Chinese people. I think it's a unique look at individuals in China -- too often we generalize about these 1.3 billion people. This book is a stab at bringing them to life as individual people. JW: Well, as you know, I'm one of the co-editors of Chinese Characters, so I guess now we're even in the books-to-recommend-to-presidents sweepstakes. One final question (for now, that is, as I'll be coming to hear you and your colleagues speak on June 21 and will think up something really tough and sneaky to ask you in public): Is the air really so bad in Beijing? IJ: Put it this way: When I came to China for the first time, I had a full head of hair and weighed 20 pounds less. I think that says all you need to know. JW: Couldn't it just be that you're a pudgy middle-aged guy now? IJ: Jeff, it's the air. * This interview originally ran on the Asia Society blog with a different title (and a photo of Johnson as he looked back in the mid-1980s); for a full listing of Johnson's New York Review of Books contributions, click here.